Elk Grove Police arrested a person suspected of attempting to cash a forged check on Tuesday. 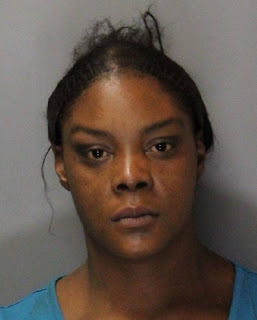 Officers were dispatched to the El Dorado Savings Bank on Elk Grove Boulevard in Old Town after 24-year old Kashay Moniae Parker (pictured above) attempted to cash a fraudulent check. After detaining Parker, a search of her purse led to the discovery of a narcotics paraphernalia. Parker was arrested and booked into the county jail where she remains in custody on a $5,000 bail and faces one misdemeanor narcotics and two felony forgery charges. The suspect is scheduled for arraignment this afternoon.